Opt for the available hatchback configuration and you’ll get split folding rear seats that open up to reveal a max cargo volume of 47.2 cubic feet. Go full-on luxurious with a leather package that includes a heated, leather-wrapped steering wheel and full leather upholstery, as well as a height-adjustable front seat. Let in the light with a sun and sound package that includes a sunroof, ambient cabin lighting, a color driver information display, a bigger touchscreen, and a Bose® sound system. The Cruze lets North Pole drivers stay comfortable, thanks to available heated front and rear outboard seats. 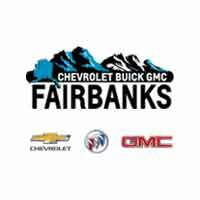 You can find the competition-busting Chevy Cruze for sale right now at Chevrolet Buick GMC of Fairbanks, a drive away from Eielson Air Force Base. Reach out to us online and see why we set a higher standard.